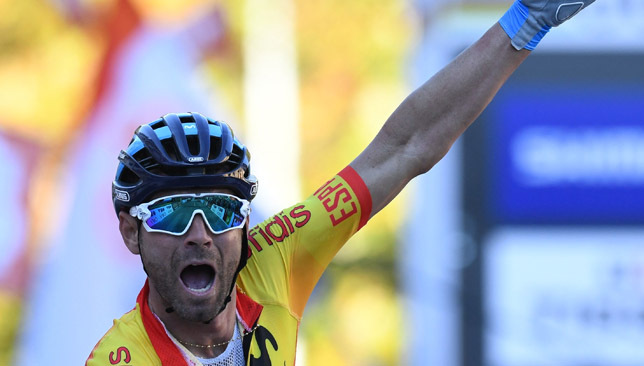 Veteran Spaniard Alejandro Valverde ended years of frustration to win the world championships road race on Sunday after outpacing France’s Romain Bardet and Canada’s Michael Woods in a thrilling sprint for the finish line. The trio had boosted their victory chances after crossing the summit of the notoriously difficult Hottinger hill ‘Hell’ climb, featuring one steep section at a whopping 29 percent gradient, to leave key rivals in their wake. And despite being joined with a little over one kilometre to go by Dutchman Tom Dumoulin, Valverde held his nerve inside the final metres to race unchallenged to the finish line, where he beat Bardet by a bike length. A breathless Valverde, who finished runner-up in 2003, broke down with the emotion of finally securing the rainbow jersey — arguably the most prestigious prize in the sport. “It’s incredible, after all these years, struggling for the world title and to finally get it,” he said. As soon as the quartet came into the final kilometre the Spaniard had looked the most likely to win. Both Bardet and Woods are stronger climbers while all-rounder Dumoulin also lacks Valverde’s top-end finishing speed. “I knew I was possibly the strongest and was waiting for someone to make a move,” he said. Pre-race favourite, Julian Alaphilippe of France, Briton Simon Yates and Italy’s Vincenzo Nibali and the last of the Colombians were dropped on the steep gradients of the final climb. Simon Yates has identified Julian Alaphilippe as the man to beat in Sunday’s elite men’s race at the UCI Road Cycling World Championships in Innsbruck. La Vuelta winner Yates will race alongside twin brother Adam in Great Britain’s eight-member team, with both considered strong contenders on a challenging 258.5km route which suits their climbing strengths. But many eyes are on the powerful French team, which includes Alaphilippe – winner of the King of the Mountains classification in this year’s Tour de France – as well as the likes of Romain Bardet, Rudy Molard, Warren Barguil, Thibaut Pinot and Tony Gallopin. “I think Alaphilippe is the main favourite, you have to look at him,” Simon said. Simon also picked out Spanish veteran Alejandro Valverde while Adam threw the net wider, saying he would not rule out reigning world champion Peter Sagan winning a fourth rainbow jersey in a row despite a course most think is too difficult for the Slovakian – particularly the brutal 28 per cent gradients of the final climb. “You can’t count him out, can you?” he said. “You saw in the Rio Olympics when Greg Van Avermaet won. Everyone said it was too hard and then a classics guy pulled out the win. 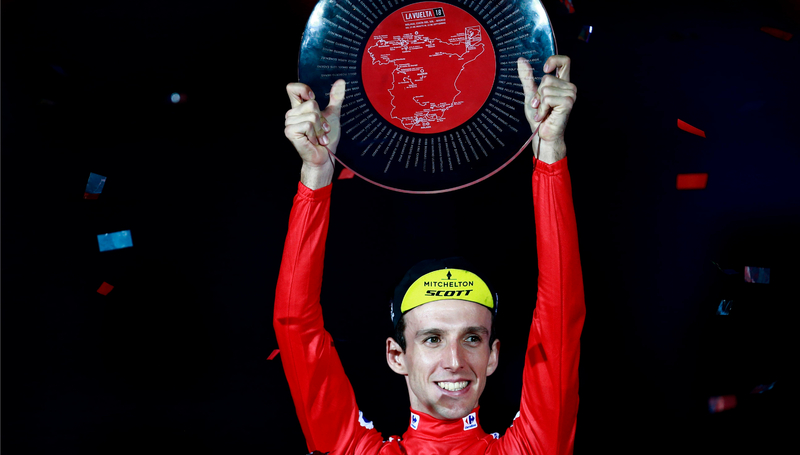 Simon Yates sealed victory in the Vuelta a Espana to complete a British clean sweep of this year’s Grand Tours. The 26-year-old Bury racer, whose success was all but guaranteed as he headed into Sunday’s largely processional final stage into Madrid with a one minute and 46 seconds lead, avoided any late mishaps to land his first Grand Tour title. Victory for the Mitchelton-Scott rider followed success for Chris Froome at the Giro d’Italia and Geraint Thomas at the Tour de France to round off an unprecedented year for British cycling. Indeed, it was a moment for the history books, with the three titles having never before been held by three riders from the same country. Elia Viviani out-sprinted Peter Sagan (Bora-Hansgrohe) to win the 21st stage after a flat 100.9 kilometre ride from Alcorcon on Sunday, while Yates retained his advantage over Spain’s Enric Mas, Viviani’s team-mate at Quick-Step Floors, in the final General Classification standings. And the day belonged firmly to the man in red, who has recovered from the disappointment of running out of gas at the Giro after holding the race leader’s pink jersey for 13 days to triumph in Spain. Those punishing three weeks may have ended in heartache, but they proved Yates, who won the young rider classification at last year’s Tour de France, had what it takes to contend in Grand Tours – and he delivered at the very next opportunity. 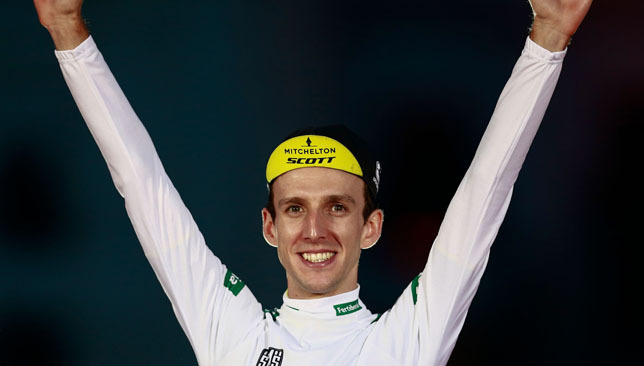 Sports Minister Tracey Crouch said: “Simon Yates’s brilliant victory in the Vuelta is the latest success in a phenomenal year for British Cycling, following on from Froome winning the Giro d’Italia and Thomas the Tour de France.